If you’ve got a craving for murderous, bald men or hiding from 99 people trying to hunt you, Fanatical should have you covered this weekend. Both Hitman 2 and PlayerUnknown’s Battlegrounds are on sale, so you could throw caution to the wind and do both. 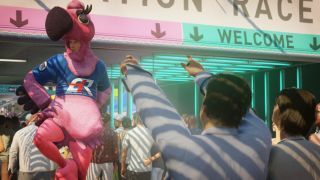 While Hitman 2 doesn’t officially launch until next week, if you get the Hitman 2 Gold Edition, you’ll be able to play right now. It’s 15 percent off, but if you use the code HITMAN225, you’ll get 25 percent off. This includes Hitman 2 Silver Edition and regular Hitman 2. If you’re not convinced, take a gander at Phil’s Hitman 2 review. If sneaking through painstakingly crafted levels and taking out targets isn’t your cup of tea, and you’d rather fight your way across islands and deserts as 99 other people fight you for a chicken dinner, PlayerUnknown’s Battlegrounds might be more your speed. It’s 27 percent off for the next week. None of them tickling your fancy? There’s also Tropico 6, due out in January, which is 25 percent off if you use the code TROPICO625, as well as Soulcalibur 6, which is 17 percent off, no code required. These discounts apply to the other editions, too. That should keep you busy this weekend.